Tis the season…for Arabic holiday music! If you’re a belly dancer like me, you want to decorate the tree while listening to the old standards like Jingle Bells…with a (hip) twist! Here are some of my favorite Arabic interpretations of classic holiday songs, plus my very own belly dance Christmas performance from last year. For even more holiday goodness, check out Shira.net’s Christmas Songs in Arabic page for lyrics in English and Arabic. A high-powered interpretation of the same song by Sassine Abi Khalil. Wafic’s “Kel Eid,” a mind-blowing Arabic and English version of….”Feliz Navidad”!!!! My own holiday take on some Christmas standards, complete with poinsettia costume and candy cane assaya. 😉 Thank you to Daily Bellydance Quickies for featuring this video in their 12 Days of Christmas countdown! As a bride-to-be myself, I’m well aware that weddings cost a lot, and that trimming the budget where you can is important. As a professional entertainer, I’m also aware that when you hire someone to perform at your wedding or other event, you’re paying for a lot more than only those 20 or 30 minutes of a performance. By paying for a professional belly dancer or other entertainer–much as you would pay for a baker, florist, or other wedding vendor–you’re ensuring that your event will have a high-quality show or product that will reflect years of hard-earned training and expertise, professionalism, from their business ethics (contracts! ), to the quality of their costume, to their ability to create a high-quality show for your event. So when I saw this clip of BBC’s Don’t Tell the Bride, I was disappointed and a bit mad. What the groom did was not fair to his bride and guests, the professional dancers, or to the students and musicians who “volunteered” to perform at his wedding. While students do need appropriate performance venues, a wedding is a high-pressure event that is often unpredictable; things run late, tipsy guests join you on the dance floor, the DJ can’t play the CD you brought, the groom unexpectedly asks you to lead the debke line…challenges that pro dancers will have encountered before and can handle gracefully without missing a beat, but that may fluster even the most enthusiastic student, leading to a bad performance by a stressed-out, inexperienced dancer in the middle of your big day. That’s not right to throw anyone into, and it’s unfortunate that these students’ instructors allowed them to be put into this position. Fortunately, because of the magic of TV, everything was well-coordinated and they were behind a velvet rope, with the crew providing cues to make sure the performance went off without a hitch; most weddings, needless to say, will not have this. What’s also not right is to not pay someone what their product or performance is worth. For professional performers, a single performance reflects years of hard work and dedication. While it is okay to negotiate rates for events, it is never okay to not pay someone for their work. This is undercutting, and it damages everyone involved by making it seem as if a belly dance performance is not worth any money, and consequentially making it even more difficult for dancers to get paid the appropriate rate for their work. No one would consider not paying the clown who performs at their child’s birthday party, or their florist or baker…so why should they think twice about paying a performer at their wedding? *** If you can’t afford it, you can’t afford it. Dancers, if someone asks you to “volunteer” to dance at their wedding, please let them know the going rates in your area, and let them know you’re worth it! Because you are! ***For comparison’s sake, a clown show for a party starts around $225 in New York City. The starting rate for a belly dance show is about the same. Welcome to Sole Food, a review segment for finding the best shoes for your dance needs. Depending on your dance style, costuming, and venue, you need to find the right shoe for the job. Like any costume element, make sure to practice in your shoes before hitting the stage. What is it? A “paw” style shoe covers the ball of the foot, allowing for an excellent turning surface with a barefoot feel. The soles are usually single or double patches of suede. What’s it made of? Suede, elastic, breathable synthetic stretch fabric. What kind of dancers will wear it? Anyone! 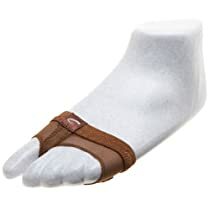 These are the ultimate in faux shoeless dancewear, and come in a variety of colors and flesh tones so that they practically melt away on stage. As an added bonus, many are washable. Who makes it? Dance brands including Bloch, Capezio, Dance Paws, Leo’s, etc. Sizing tips? Some manufacturers use numbered sizes while others use letter sizes.